Page design and coding by jebbica for Caprice only. 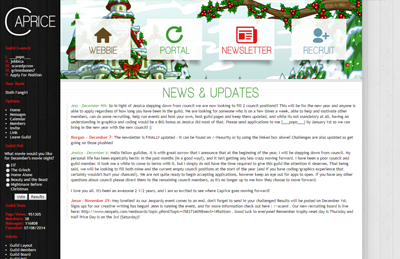 Welcome to the official guild webbie for Caprice! Caprice is a block and account improvement guild dedicated to helping its members grow their account and reach their neo-goals while having a fun, friendly place to chat. We offer an array of resources and activities that will help you reach those goals and build strong, wonderful friendships! At Caprice, we have 8 blocks, each with their own set of requirements to join. To learn more about them, check out the blocks section. We hope you find one that suits you perfectly! Caprice is a brand new guild, but don't let that fool you into thinking it isn't active! Many of Caprice's members came from the same guild, Aurous, which was closed due to owner freezing. Our members share a great bond and are waiting to welcome you into the family! No Drama. This should go without saying, but we all want a fun, nice place to chat, and because of that we have declared the board a drama-free zone. If you have a problem with another guild member, please neomail any of the council members to let them know about it. Do not tell other guild members how much you dislike someone else. No Bullying. We have a zero-tolerance policy against bullying. Please always be respectful and kind to your guildies. We are semi-literate. Please have a tidy font (preferable with your name in the signature somewhere) and refrain from using too much chatspeak. Lol, omg, brb, etc. are totally okay, but please d0nt typ3 lyke d1s. No Side Accounts. Unless your main is silenced, we do not allow side accounts in the guild. We ask that our members be as active as they can, and the sad truth of the matter is that sides are neglected. Be Active. Speaking of neglect, please don't neglect the message boards! We certainly understand that life happens. We have jobs, classes, families, and a life outside of Neo, however we do ask that you try and post when you can. In order to try and keep Caprice filled with active members, we do have a member sweep policy. If you have not posted in 10 days (without letting council know that you will be gone) you will be sent a reminder neomail, and then swept if your inactivity reaches 2 weeks (14 days). Furthermore, if you are sent 3 separate inactive reminder neoamils over the course of your membership you will be automatically swept as opposed to receiving a 4th neomail. No political talk. We know and respect that everyone has their own opinions, but please, if your opinion has anything to do with politics, we ask that you keep it to yourself to avoid sparking any political debate. Post a welcome message. Please, if you join the guild, make at least one "welcome" post. Tell the guild who you are, say hello to everyone, etc. If you have been in the guild for 2 days without making 1 post (any kind of post!) then you will be neomailed, and if you reach 4 days without any posts you will be swept. Ello my name is Jess! I am a 22 year old university student studying bio and criminal justice. I love my puppy dog, Sadie and have 2 aquariums full of fish. On neo I really love collecting stamps, its an addiction. I can't stop. :3 I also zap and adopt out pets as I go. In order to join Caprice you must fit into one of our many blocks. Each block has its own specific requirements. You may fit into more than one of these blocks, but for the sake of joining please only select one block to list in your application. But I don't meet any of these requirements. That's a bummer, but don't fear! Here at Caprice we have a buddy system, where potential members who don't quite fit into any of our blocks can be invited to the guild and paired up with a buddy to help reach some of your neo-goals and ultimately fit into a block! For more information and the buddy system application, click here. I am extremely proud to say that I've been with Caprice since day one. Of any and all of my neo-accomplishments, helping establish this guild is number one. We have come so far in such a short amount of time, and I can't wait to see what the future brings us. Myself and the other members are lucky to have such a creative and dedicated leader. To anyone who is considering joining, I can promise that joining Caprice will be one of the best decisions you will ever make. 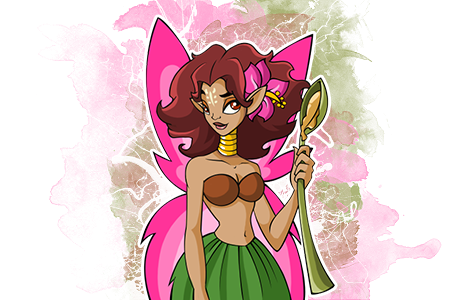 Caprice is truly my home on Neopets. I joined Caprice after I felt myself drifting apart from the guild I was in before. I'm so thankful that I found the amazing members of Caprice. Since I joined I've spent the majority of my time on Neopets chatting on the boards and recruiting on the guild boards so more people can experience this amazing place I call my home! The members are kind, friendly, and funny! I couldn't be happier! Caprice. The word just sounds inviting. It reminds me of a sunny paradise - and that's exactly what it feels like to be in this guild. When I first looked at it, I was impressed by the beautiful graphics, organization, the detailed, and clear explanations on the way things worked around here. All of the council have put time, effort, love, patience and care into this establishment and the fun, exciting, helpful, and pristine aura it emits can vouch for this. If you are looking for a place that adheres to every members' goals and interests, hosts creative and exciting activities/events, and has an administration that goes out of their way to shine for their members and the guild as a whole, then the place you are looking to call home is right in front of you: Caprice - the best NR block and account improvement guild of 2014. Hi! My name is Annette, though everyone calls me Cyra. I've been a member of Caprice for only a few weeks now, and I love it! It's VERY active, the people are all terrific, there are some seriously fun activities, and so much more! I'd definitely say that the best part of Caprice is the amazing group of members! They're all really great people, and I feel like I've fit right in with them. It's been a while since I've been in a guild on Neo (mainly because I've taken a few breaks...) but it's truly a great place to be! Hello! My name is Alyssa and I am proud to say I am a member of the guild Caprice. 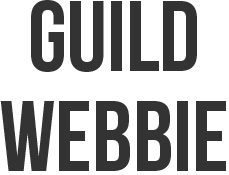 Upon joining I was highly impressed by the wide array of activities that the guild provides. There is truly something here for everybody. You certainly would not get bored! Another thing that surprised me about this guild is how active the boards are. I have never been in a guild that is so lively and welcoming. There is someone active at all times of the day so you always have someone to chat with. It's also very easy to meet new people here and each person I've met has been caring and kind to me. Even if you don't meet the requirements there is a Buddy System in place so that everyone can have a chance to be a part of this lovely guild. I sincerely encourage anyone who is on the fence about joining Caprice to take the chance. You will not be disappointed! Caprice is a happenin' place! There's so much to do in this guild. Monthly activities and captivating conversations keep the guild alive and active. I've been with the guild for a little while now, and I have never been amongst a more kind and caring group of people! There's never a hesitation to help someone out if there's a need, the guild council is incredibly involved with the members, and just the general atmosphere is phenomenal. Chat amongst the members rarely gets dull; you never know what to expect when conversing with others. Such a fun and loving group of people that I absolutely love being a part of. Caprice is more than a community, we're a family! After a few years off of Neo, I decided to come back, switch main accounts, and start fresh. One of the first things I decided to do on this new account was look for a guild. While monitoring my "guildless" board, I received a personal NeoMail from Jesse inviting me to check out Caprice. At the time, I had a few other guilds on my "potential" list, but Caprice blew me out of the water. The graphics and layouts on all of the pages were consistent and attractive and I could tell that there was a lot of life here. Once I submitted my application to the buddy system and was accepted as a member, I was not disappointed. Everyone is so friendly and helpful and my account has improved so much in just a few weeks. (I even found my dream pet in the adoption agency!) Caprice will not disappoint. I would definitely recommend my guild family to anyone! After some time away from Neo, mainly due to boredom, I decided to come back. I was guildless. I decided to look for a new guild. I joined a BD guild, but that wasn't for me. I found one that looked to be a good fit, but then it closed with no warning. I had made friends in that guild and they moved to Caprice. At the time, I was just following, but Caprice made me feel welcomed and right at home. The graphics and layouts are phenomenal and cute to the eye, too. I'm so glad I submitted my application and was accepted as a member. The activities are so much fun. Everyone is uber friendly and helpful and my account even though with great stats, has improved more in few weeks. Caprice has been there for me during the storms in my life. They truly care for it's members. They will help in any capacity they can. It's such a tight-knit family. i would definitely encourage Neopians to join our happy little family! So, you want to join Caprice? That's great news! It's really very simple, just Neomail this application to grimmbones7. That's it! After you submit your application we will review your account and send you an invite! Your application will be added as your bio on our Member Page.